Clearwire will launch its LTE network early next year with service in high-demand "hot zones" in New York, Los Angeles, Chicago, Seattle and San Francisco, the company said on Thursday as it announced its first-quarter financial results. By the middle of next year, Clearwire plans to cover parts of 31 cities. Those hotspot networks are expected to add capacity for the LTE service to be offered by Sprint Nextel, Clearwire's main wholesale customer. Sprint plans to launch its own LTE network beginning in the middle of this year. For the first quarter, Clearwire posted a 36 percent gain in revenue from a year earlier and reported it reached 11 million subscribers to its current WiMax service, up from 6.1 million a year earlier. 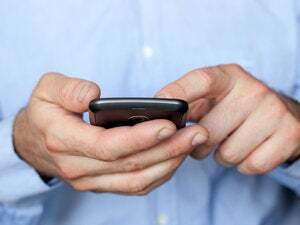 Those subscribers are using the service more heavily than ever, with average smartphone data use up 53 percent from the first quarter of 2011. The company still reported a loss of $182 million for the quarter, but it reported that for the first time, its operations brought in net cash of about $66 million. Clearwire said that gain came mostly through payments from Sprint, its main wholesale partner, resulting from a new wholesale agreement between the two companies. Clearwire is the sole provider of Sprint's current 4G service, which runs on WiMax, but both companies are migrating toward LTE. Though they will use different types of LTE networks, Clearwire and Sprint have said future devices will be able to use both systems. Meanwhile, Sprint can keep using the WiMax network through at least 2015 and has long-term pricing deals with Clearwire through 2014. On Wednesday, Sprint said it would start offering WiMax data service on its Boost and Virgin prepaid brands later this quarter. Clearwire benefited from the travails of would-be hybrid mobile operator LightSquared in the first quarter, picking up deals with Leap Wireless for its Cricket budget mobile service and with FreedomPop and Simplexity, all of which had looked to LightSquared for 4G capacity until the FCC acted to shut down that company's proposed LTE network because of GPS interference concerns. LightSquared had been Clearwire's biggest potential rival in the wholesale mobile data business.